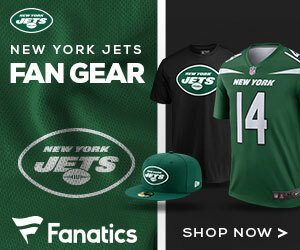 The New York Jets are very familiar with Seattle Seahawks head coach Pete Carroll. 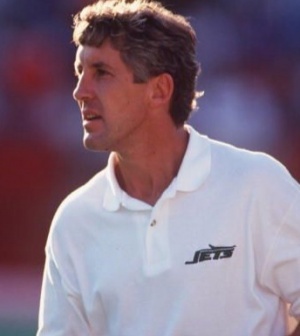 If you remember from 1990, Carroll served as the Jets’ defensive coordinator for four seasons before being promoted to head coach in 1994. Carroll led the Jets to a 6-5 start before his defense played victim in Dan Marino’s famous fake spike touchdown pass. The Jets lost the remaining five games and Carroll was fired after just one season. It took Carroll three seasons before he got another chance in the head coaching business. He took the helm of the New England Patriots but failed to take the team past the AFC Divisional round in his first season and a wildcard game against the Jacksonville Jaguars in his second. Carroll was fired again after his third season when the Patriots finished 8-8. Carroll made his way back into the NFL in 2010 when he became the head coach of the Seahawks. In his four seasons with the team, Carroll has led the Seahawks to the playoffs three times — this time with a ticket to coach in the Super Bowl. The Seahawks defense finished first in the entire league and the offense has been reformed behind quarterback Russell Wilson and running back Marshawn Lynch. Meanwhile, the Jets are sitting from home as they will watch their former head coach in the Super Bowl that will be played in the Jets’ stadium. What kind of success have the Jets had since Carroll left town? Well minus the fact that they lost two AFC Championships in a row in 2010 and 2011, not a lot. The team has went through one quarterback and coach after another. From Herman Edwards and Chad Pennington to Rex Ryan and Geno Smith. The Jets have yet to win a Super Bowl since Joe Namath predicted victory in 1969 over the Baltimore Colts. Namath won MVP honors and eventually a ticket to the Hall of Fame in 1985. So I ask, will the Jets ever get it right again?